If you have a gluten sensitivity or are simply avoid gluten for the health benefits, eating out can be tricky. Bread is everywhere, gluten is sneaky and hides in unlikely places, and can you really be sure there isn’t any cross-contamination? 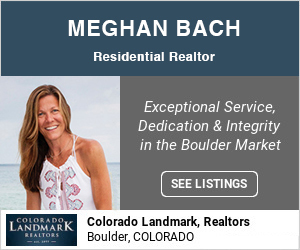 Luckily, Boulder has an abundance of restaurants where you can eat gluten free, worry free. While not all have completely gluten-free kitchens, many do. 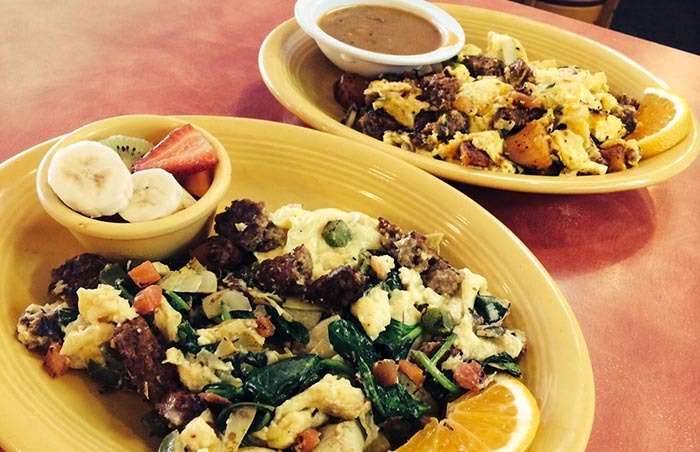 Here are our favorite places to eat gluten free in Boulder County. Tangerine | 2777 Iris Ave. If you’re gluten free, you’ll have no problem finding a great breakfast at Tangerine. Its menu is clearly labeled, and the words “gluten free” are abundant. The huevos rancheros is one of our favorites, served with two corn tortillas topped with pinto beans, three pepper sauce, avocado, fresh salsa, cotija cheese and two sunny-side up eggs. 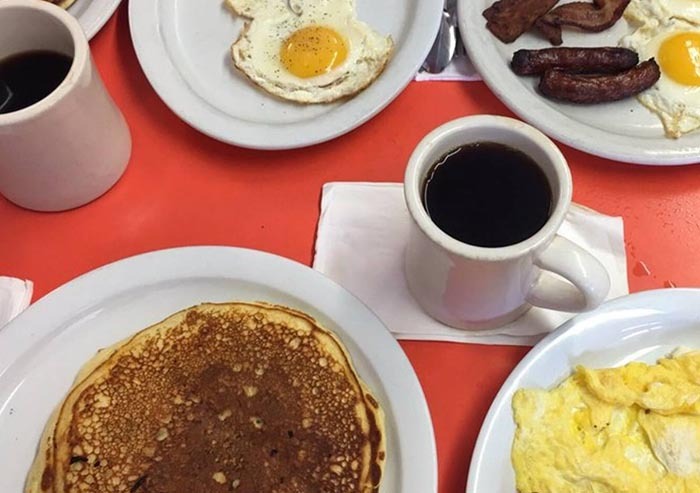 If you’re looking for a more traditional breakfast, all the pancakes and waffles can be made gluten free, and the restaurant has a gluten-free English muffin option. We highly recommend the salmon caper benedict, made with smoked salmon, onion, capers and spinach. Village Coffee Shop | 1605 Folsom St. This small shop is one of our all-time favorite breakfast spots in Boulder. And good news: It has lots of gluten-free options as well. Gluten-free toast, French toast and hamburger buns are available. All sandwiches can also be made gluten free for no additional cost. But our recommendation? Pancakes. The pancakes here are massive. Like, as-big-as-your-head massive. And they can be made gluten free. All around win. Walnut Cafe | 3073 Walnut St. The Walnut Cafe has one of the most extensive gluten-free breakfast menus in town. Its espresso bar offers free-trade coffee from Ozo, and we definitely recommend starting with an espresso. Our favorite is the Hazelnut Cocoa Mocha. Its breakfast menu is just as impressive. 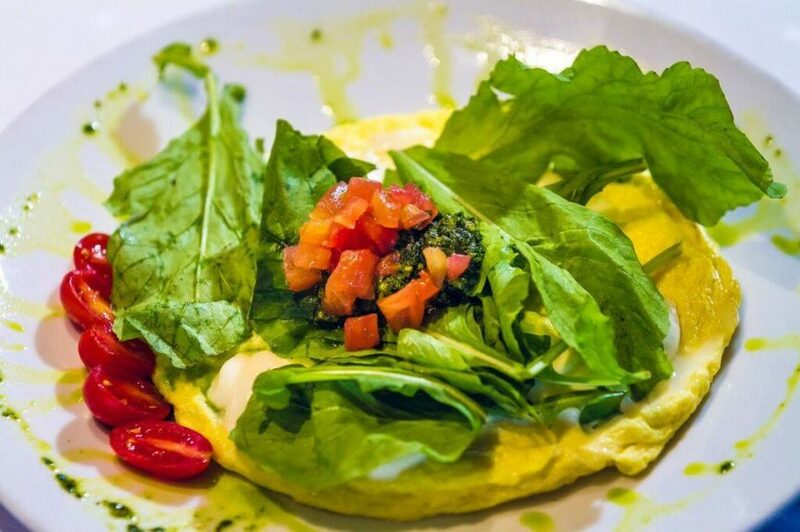 From omelets to scrambles and even gluten-free French toast, the options here for those with gluten sensitivities are plentiful. Audrey Jane’s Pizza Garage | 2675 13th St.
Pizza is a lunch staple, and Audrey Jane’s Pizza Garage is one of the best in town. 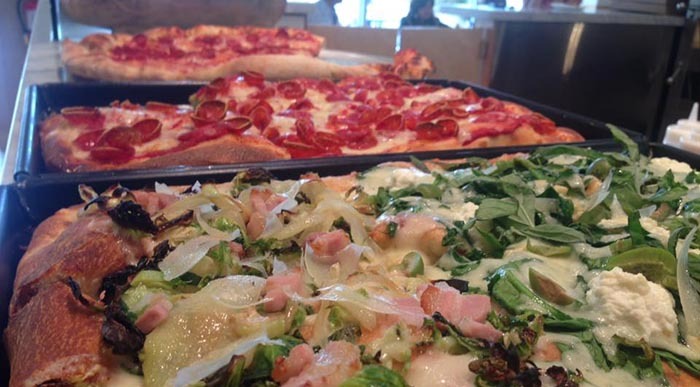 It serves New York-style thin crust, Sicilian and patty style (Audrey Jane’s signature) pizzas. All of the pizzas can be made with a gluten-free crust (16-inch only). So whether you prefer a Spicy Pig (hand-crushed tomato sauce, mozzarella, natural casing pepperoni, Italian sausage, roasted jalapeños, fresh garlic, oregano), a Hot Honey Disco Pie (sauce, mozzarella, salami picante, mushrooms, Calabrese honey, basil) or a Crunchy Vegan (hand-crushed tomato sauce, kale, sweet onions, Brussels sprouts, roasted cauliflower, garlic, basil, pumpkin seeds), you won’t have to worry about the crust. Blooming Beets | 3303 30th St. While it’s no shock to find gluten-free food here, some of the menu items will surprise you. 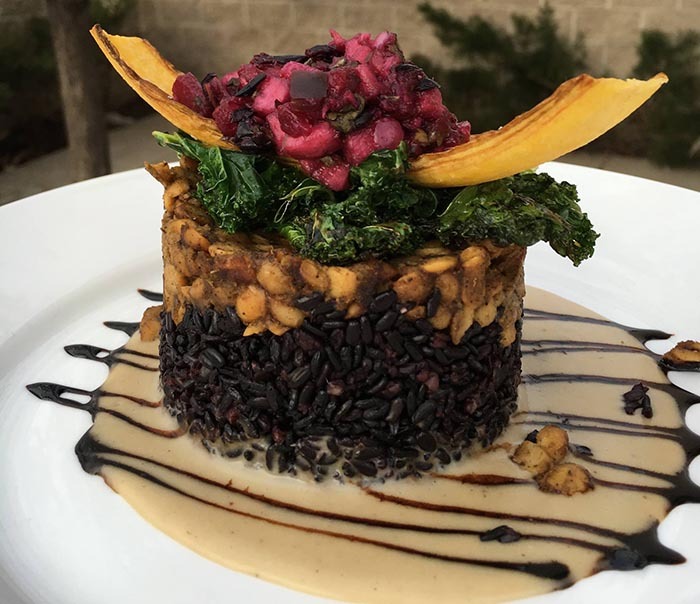 Blooming Beets is a completely gluten-free restaurant, so no matter what you order, you can rest easy knowing that there is not gluten anywhere in the building. We recommend starting with the bacon-wrapped dates, the perfect combination of sweet and savory. 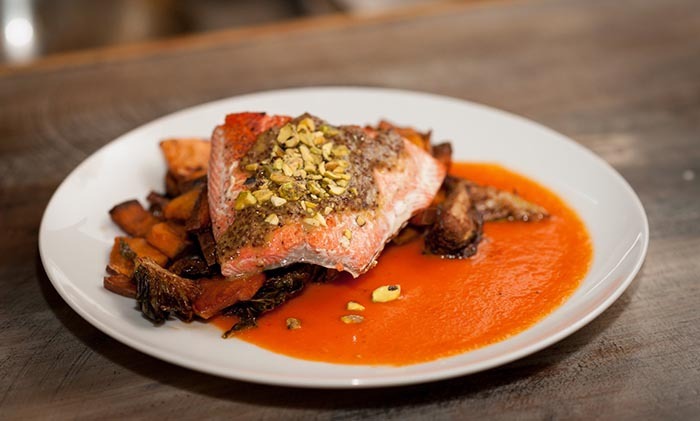 Our favorite lunch item is the wild-caught salmon, served on sage-cauliflower puree and sweet potatoes and topped with red pepper coulis. If you’re brunching here, the real winner is the waffles. Gluten-free waffles? Yes, please. Our favorite is the BLT waffle, served with bacon jam, power greens, poached egg, tomato, crispy sweet potatoes, and smokey aioli. This Brazilian Grill is completely gluten-free. It has a create-your-own menu, where you can choose your base (white rice, brown rice or crisp greens) and then add whatever you like. 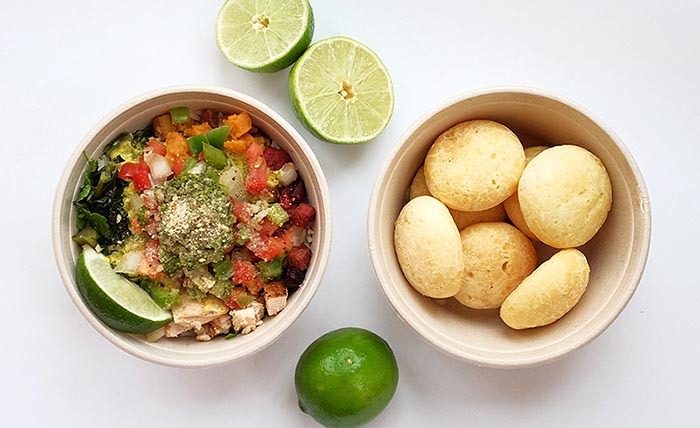 Main dish options include a tilapia bowl, with white fish, lightly marinated with lemon and oils and cooked in a rotisserie basket; a feijoada bowl, which is the national stew of Brazil, made with bacon, sausage, beef, black beans, herbs and spices; and a roasted veggie bowl, served with slow-roasted beets, jicama and sweet potatoes. Once you pick your main dish, you choose your sauces and toppings and enjoy. 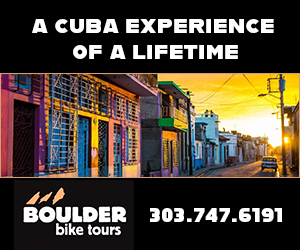 The customization gives you a wide range of options. When we think brewery, we think beer. And when we think beer, we think of a nightmare for those with gluten sensitivities. Luckily, Avery has plenty of food options for those who don’t eat gluten. Start off by sharing the Meat, Meat, Meat dish with your friends. This app comes with smoked spare ribs, house-made sausage, pulled pork, slaw, cornbread and barbecue sauce. Next, try the gumbo, with smoked chicken, crawfish, andouille sausage, rice and cornbread. Or if you’re meat-ed out, go with the vegetable curry, both gluten free and vegetarian. 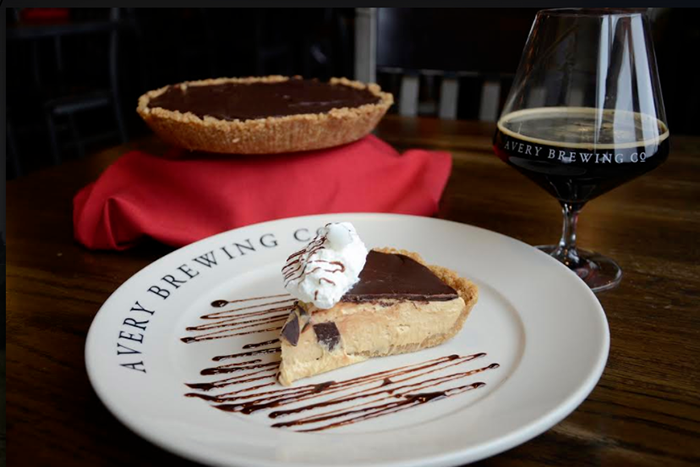 Finish off your meal with the peanut butter pie. 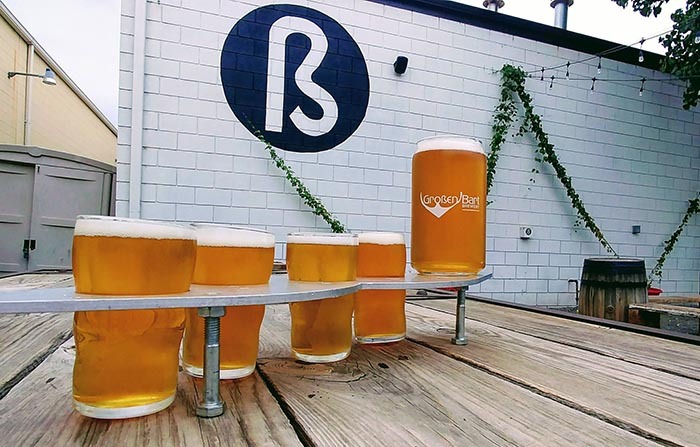 While Grossen Bart doesn’t serve food, it’s one of the few places in Boulder County that serves beer that is suitable for people with gluten sensitivities. This brewery uses Clarity Ferm in its beers, which reacts with the gluten proteins, breaking them down. This process makes all of Grossen Bart’s beers harmless to those with sensitivities to gluten. And it’s a super fun place, whether you’re gluten free or not. According to its website, “Grossen Bart” is German for big beard, and many of the beers are named after facial hairstyles. Year-round options include the Chin Curtain IPA, Stubble Kolsch and the Strip-Teaser Pale Ale. The Post | 2027 13th St.
Fried chicken may not seem like the best choice for someone who can’t eat gluten, but The Post changes that. 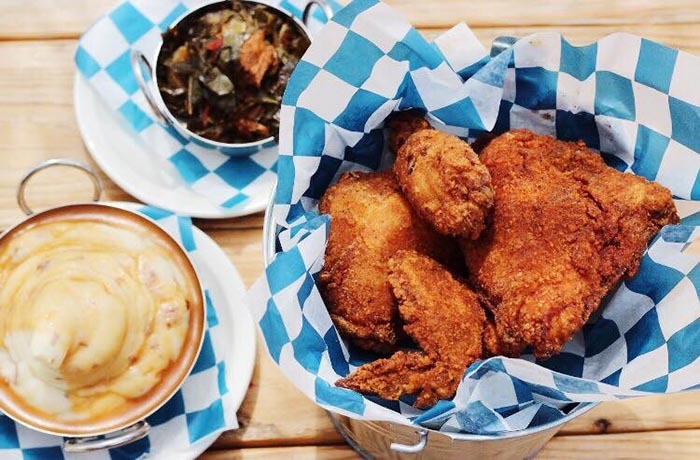 It has gluten-free fried chicken options, including family-sized meals that come with up to two full birds, four large sides and eight biscuits. This massive meal feeds six to eight people. The Post also has half-bird meals and everything in between. So whether fried chicken is your ideal dinner or not, The Post will have something you can enjoy. Leaf | 2010 16th St. Leaf is a great option for people who are both vegetarian or vegan and also gluten free. Many people think vegetarian diets revolve around pasta, which is an obvious no-go for people with gluten sensitivities, but not at Leaf. Some of the gluten-free options here include a sweet potato alfredo with campanelle, spinach, vegan sausage and beet spice; a Burmese butternut curry with chickpea tofu, cabbage salad, coconut rice and peanuts; and creole polenta with black-eyed peas, vegan sausage, trinity vegetables and cheddar crisps. But our favorite? The Jamaican Jerk Tempeh. With spicy jerk seasoning and fruit salsa, it’s the perfect combination of hot and sweet. Spruce Confections | 767 Pearl St. Spruce Confections is not an exclusively gluten-free, but it offers several options for those with gluten sensitivities. Cake options include a six-inch Chocolate Oblivion, classic chocolate and mocha chocolate chip. It also offers smaller options, if you don’t need a full cake. Choose from cinnamon swirl, lemon poppy raspberry and Mocha Micro Chip coffee cakes and banana nut, chocolate zucchini and pumpkin spice tea breads. All gluten-free. 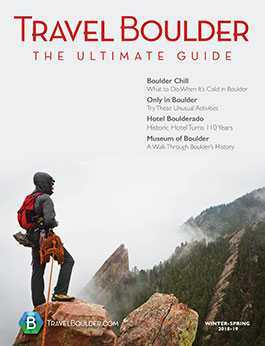 If you need a late-night snack but don’t want to leave the house or hotel room, Boulder Baked has you covered. It’s open from 3 p.m. to midnight and has both a storefront and delivers. 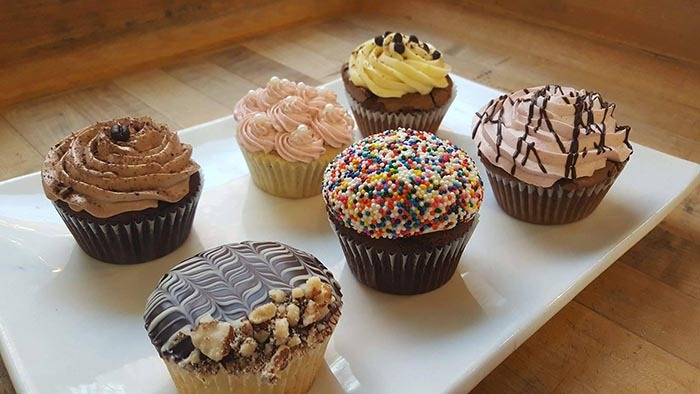 Gluten-free options include vanilla varieties of cupcakes, as well as the strawberry shortcake, carrot cake and German chocolate cake flavors. It also offers gluten-free cookies in double chocolate chip and coconut flavors. 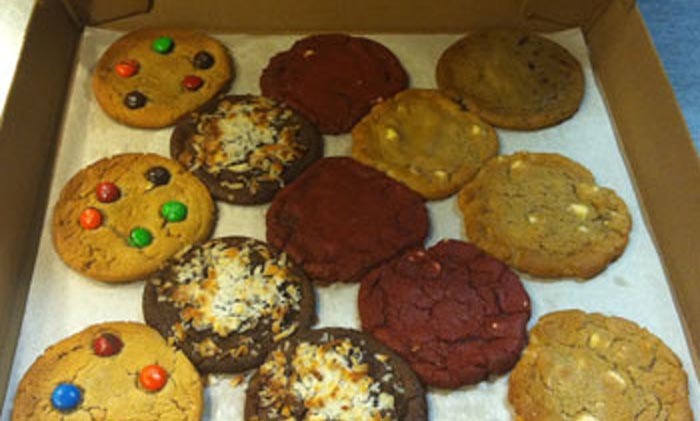 Boulder Baked also offers additional gluten-free options for custom orders. Aime’s Love, in Longmont, is an exclusively gluten-free bakery. You don’t have to worry about cross-contamination here. From peanut brittle to cupcakes to special order cakes, Aime’s Love has all your dessert needs covered. 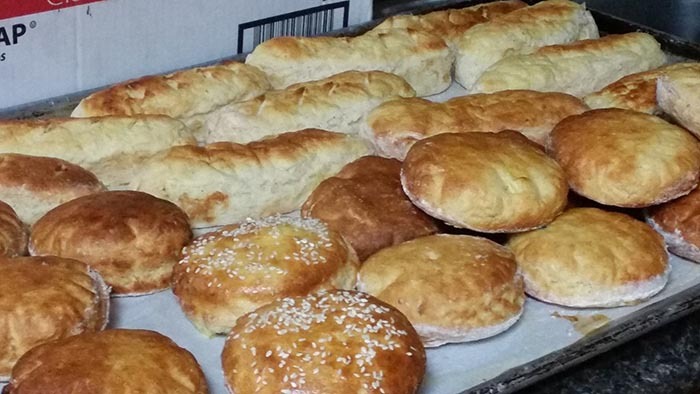 But our favorite thing about this bakery is the bread offerings. Get special-order pizza crust, hamburger buns, hot dog buns, pie crust, hot cross buns, banana bread, pumpkin bread, cinnamon raisin bread and Hawaiian sweet rolls. It also offers sandwich loaf, focaccia and a variety of bagel flavors daily in-house. More bread offerings are coming soon; check Aime’s Love’s website for full options. What about ReelFish in Lafayette? ?